Foray was born in Springfield, Mass., to an engineer and his wife. The family went to movies and plays, said the Los Angeles Times, “and young June would come home and impersonate everybody.” She set her eyes on acting at age 6 and was “performing on radio programs in her hometown” by 12. After her family moved to Los Angeles in the ’30s, the teenage Foray wrote and acted all the parts in her own radio show and was soon doing voiceovers for movies. Her big break came when Walt Disney hired Foray “to create feline sounds for Lucifer the Cat” for 1950’s Cinderella. But it was The Bullwinkle Show, which debuted on TV in 1959 under the title Rocky and His Friends, “that launched Foray to enduring acclaim,” said The Washington Post. 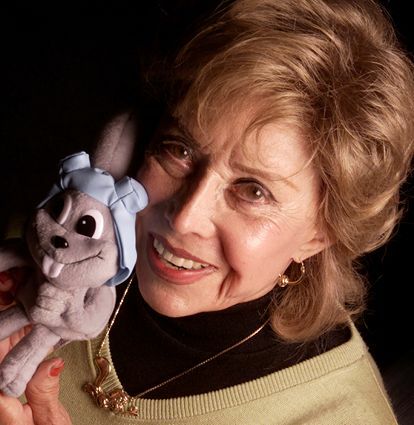 She said she initially thought a show about a squirrel and a moose was “a real cockeyed idea.” But her take on Rocky, who Foray said she portrayed as “an all-American squirrel Boy Scout,” helped make the cartoon a hit.